There are many ways a person can be exposed to the sun in Australia, such as those who work outside, sports enthusiasts or those who spend time tanning. Prolonged exposure to the sun or sunburn can heighten your risk of skin cancer, so a full body check for moles helps to identify and potential dangers and head off any serious skin conditions that may occur in the future. Within our Melbourne practice, Dr. Shobhna Singh is Skin Cancer College Accredited, which means she has successfully completed high-level training with Skin Cancer Australasia, and has proven knowledge and skills in diagnosing and managing skin cancer. The majority of moles found on the body are harmless. Moles are brown or black growths that develop on your skin throughout your life. Most moles begin growing during childhood through to your thirties, they often change in appearance throughout life, and may grow hair as you age. In our Melbourne clinic, the mole check is designed to identify any suspicious moles. Moles can turn into a dysplastic mole, which can get a ragged look and change pigmentation. We use a Molemax HD System to take a dermoscopy image to help analyse these moles. Anything that appears questionable can be taken for a biopsy, and moles that are malignant can be removed. There were an estimated 13,000 or more melanomas diagnosed in 2016 in Australia alone. It is more common for men to develop melanoma than women. It accounts for roughly 10 per cent of cancer diagnoses every year in Australia. Melanoma can be deadly. Australian Government statistics estimate that the chances of an individual being diagnosed with a melanoma by their 85th birthday is roughly 1 in 14 for men and 1 in 23 for women. The older you are, the more your chances increase. The chances of surviving a melanoma are roughly 90 per cent. Skin cancer develops when skin cells see an abnormal spurt of growth, which includes DNA damage. The skin cells replicate with the damaged DNA and perpetuate the problem, causing a cancerous growth. Squamous cell carcinomas and basal cell are known as non-melanoma skin cancers, and are the most common skin cancers in Australia. These non-melanoma skin cancers do not pose a high risk of death. Over 750,000 Australians are treated for non-melanomas each year with a good survival rate. Melanomas are a very serious form of cancer whereby the pigment-producing cells in your skin overgrow. The melanin cells are found in the outer layer of your skin and produce the dark pigment that causes tanning and dark skin tones. Melanin is protective, as it absorbs UV light and prevents it from entering further into our bodies, preventing deeper cells from being damaged. Those with darker skin are much less likely to be damaged by UV rays than those with lighter skin. Melanoma growths can be non-cancerous and appear as a common mole or freckles. Melanomas are classified by how far they’ve spread, for example ‘in situ’ means the cancer is only on the skin, ‘invasive’ means the tumour has spread to other layers of skin, and ‘metastatic’ means the cancer has spread to deeper tissue. Full body mole mapping works well as you age, as it gives your doctor a reference in order to identify any new moles or lesions. This will help your doctor to see what growth may be taking place and make it easier to find potential risks. Each mapping can be overlaid to compare with later versions; however, mole mapping alone is not enough. 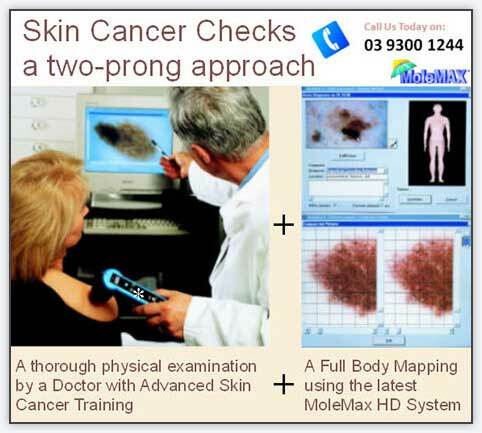 A thorough exam should be performed in conjunction with mole mapping for the most effective skin cancer detection. Though it is believed that skin cancer only occurs in people over 50 years of age, any constant exposure to the sun can cause skin cancer in teens. Mole checks and mole mapping at our Victoria, Melbourne clinic can help keep an eye on any skin concerns. 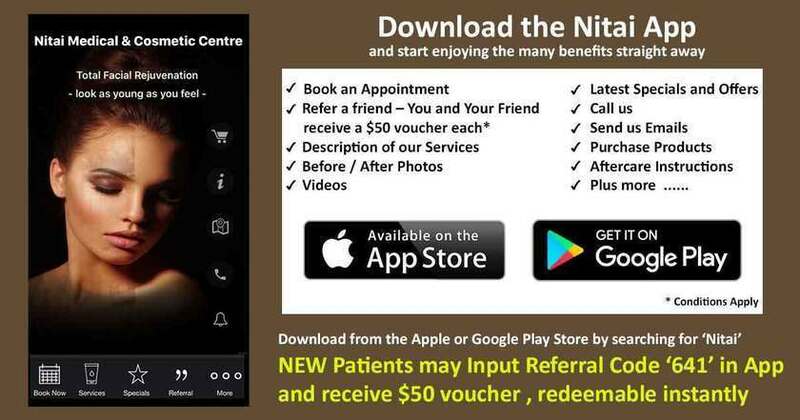 To receive more specific advice and costs, we recommend making an appointment with one of our doctors at our Melbourne clinic. It is best to do a full body mole check in front of a mirror so you can see all parts of your body. It is important to pay attention to all parts of your skin, even if they are not exposed to the sun. Do not forget to about your back, scalp and the back of your neck. It can be helpful to have a friend or partner to help you check more difficult places. You should even check areas such as between your toes, soles of your feet and the backs of your knees. The last point is the most important – any changing or new moles should be checked. The best way to check is to photograph your moles regularly or get your moles mapped. The most common place for men to develop melanoma is the back and the most common place for women is the lower leg. A study has shown that those who have a mole checking partner post-melanoma are more likely to find new melanomas quickly. Having a partner or friend who is able to spot skin cancers or what could develop into skin cancer on areas of your body that you cannot see means that any suspect moles can be spotted more easily. The study split almost 500 melanoma patients and their mole checking partners into two groups: special training in skin self-examination or standard care. The training involved recognising diameter, colour and border changes in moles. Out of the self-examination group 66 went on to develop new melanomas, and 43 of those were spotted by their mole checking partner. It is known that one melanoma means your chances of developing another is increased, so early detection can save lives. Most moles do not need to be removed and can remain on your skin without causing any problems. Some may have moles removed for comfort or aesthetic reasons, or if they are deemed a risk for melanoma. Moles can be destroyed using heat, cut off completely, or lasers can be used to reduce pigmentation and lessen the appearance of moles. If you have any pigmentation spots or moles that you are worried about, make an appointment with us at our Melbourne clinic.